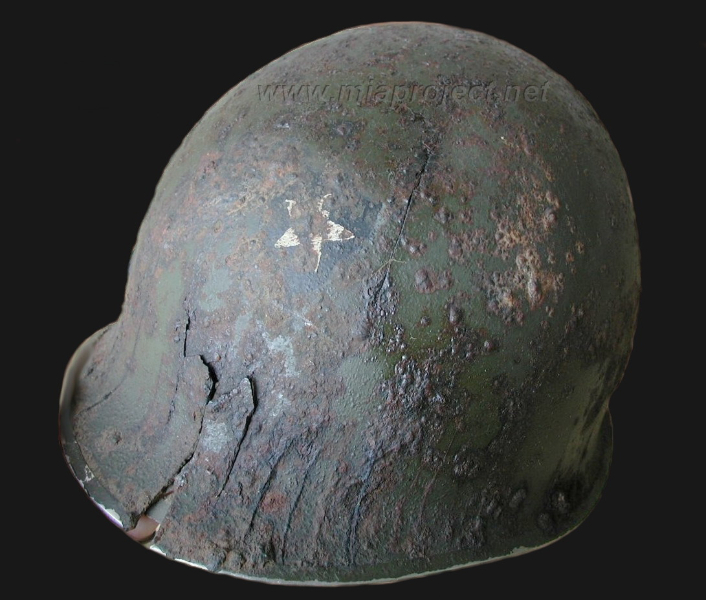 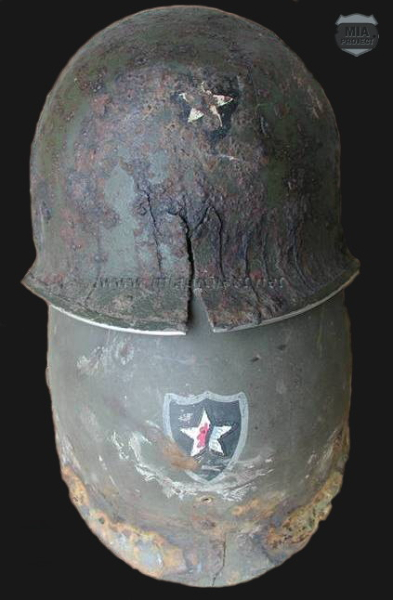 This relic helmet was recovered from former combat positions of the 1st Battalion, 9th Infantry Regiment of the 2nd Infantry Division. The name “Cortes” appears in white paint inside the steel pot, and a T/5 rank insignia was crudely carved on the liner. 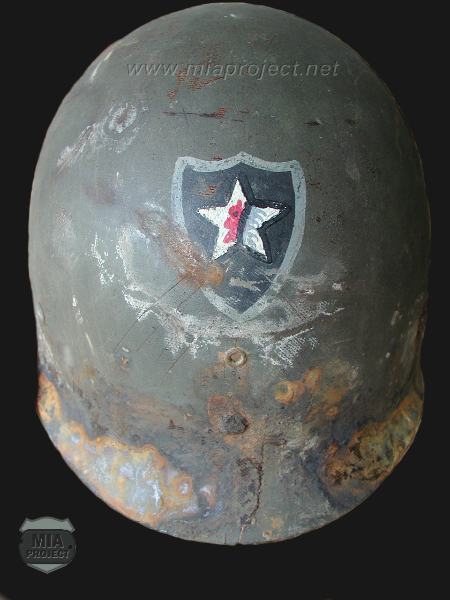 T/5 Joe Cortes was reportedly captured by the enemy on December 17, 1944. Unfortunately, to this date, neither he nor his family have been located, and his company remains unidentified.